Over 30 classic movies, 10,000 vintage songs, 100 conga lines, 20,000 cocktails, 8,000 pearl necklaces, 3,000 bow-ties and thousands of glamorous guys and gals in their vintage finest. Since its inception, Film Fatale has been bringing to life the great parties of the past and now we are celebrating our fifth birthday. To celebrate our fifth birthday, Film Fatale will host a birthday extravaganza in one of Dublin city’s most exquisite locations, the opulent and classic Banking Hall of the Westin Hotel, with a red-carpet screening of the timelessly stylish Fred and Ginger rom-com/musical Swing Time. This red-carpet event will be a love-letter to the entire golden era of Hollywood, celebrating the 1920s to the 1950s. Dress-code is strictly evening attire, so don your most dashing suit, or come along in your most glittering ensemble, as we want you to pay homage to your favourite Golden Era stars. 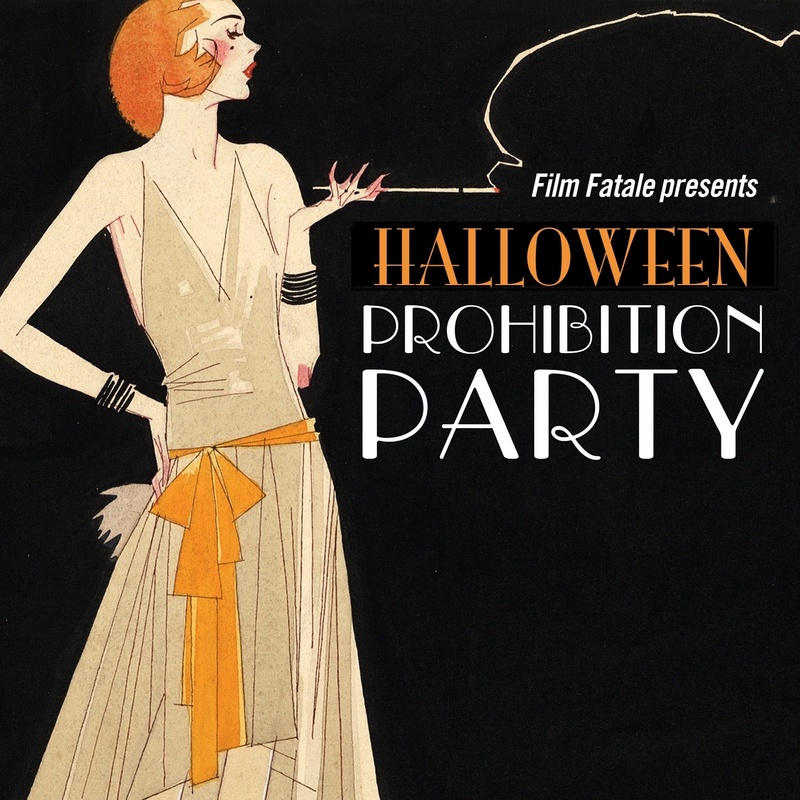 The event will feature live music from the Film Fatale house band The Tin Pan Alleycats, live dance performances, while Film Fatale’s retro-chic DJs, The Andrews Sisters’ Brothers, will play all your favorite songs that have set the dance floor on fire over the past five years. Swing Time is the perfect film to celebrate Film Fatale’s fifth birthday. Hollywood’s iconic dancing duo Fred and Ginger were the embodiment of early Hollywood glamour and Swing Time is one of their most beloved pairings. Join us in celebrating five fabulous years by watching the silver screen’s most enchanting couple before following in their footsteps and dancing the night away at our most glamorous party yet. 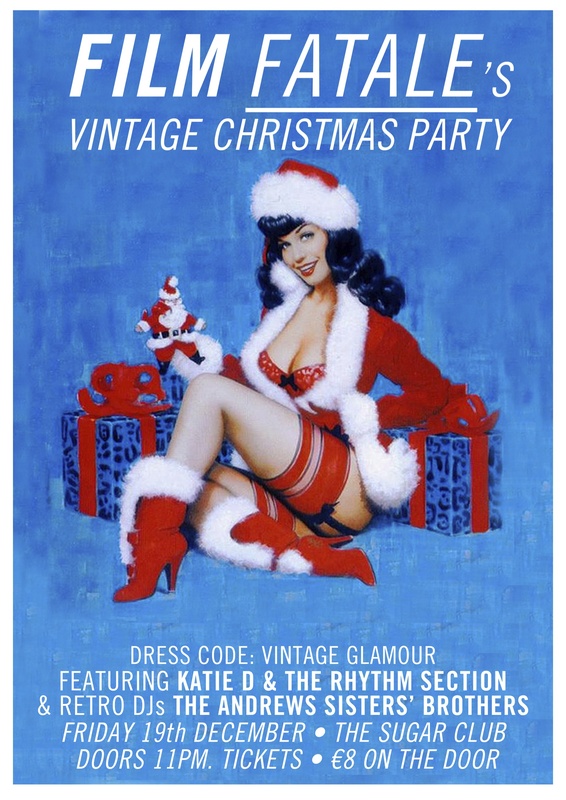 Celebrate Christmas in vintage style with Film Fatale on Friday 19 December with a night of vintage fashion, retro music, Christmas cocktails and retro fun, in Dublin’s Sugar Club. This toe-tapping, glamorous musical extravaganza has a vintage dress code, so get in the festive mood by dressing up your most dashing suit or glittering vintage Christmas ensemble. The fun begins with Film Fatale dancers and live music from Katie D and The Rhythm Section followed by Maestros of all sounds retro chic, Film Fatale resident DJ’s The Andrews Sisters’ Brothers who will be your trustworthy vintage music selectors for the night and play your favourite dancefloor fillers from the 1920s to the 70s. 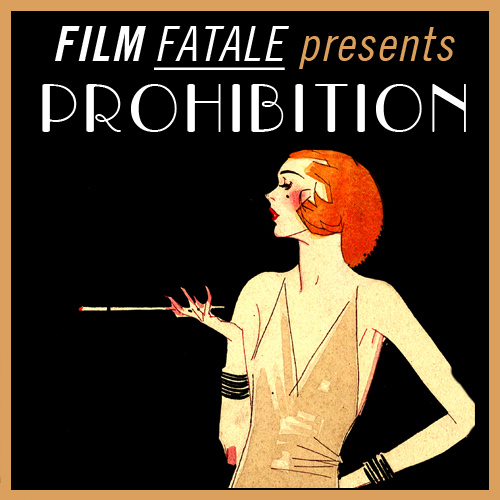 Do the Christmas congo or rock around the Christmas tree with a vintage cocktail in hand and celebrate the festive season the good old fashioned way with Film Fatale.